As a 6-year-old, Alyvia Alyn Lind had already become famous as a child actress (Faith Newman) acting alongside Joshua Morrow and Sharon Case (as Nicholas Newman and Sharon Newman) on CBS The Young and the Restless. Alyvia’s character on the television series began starring on the show with her paternity being questioned. It turned out that some shady doings of her father’s half-brother, Adam Newman (played by William J. Bell) complicated matters about her paternity. Seeing how critical this character is in the show, it needed someone who will blend perfectly into it – Lind was more than good for the role. 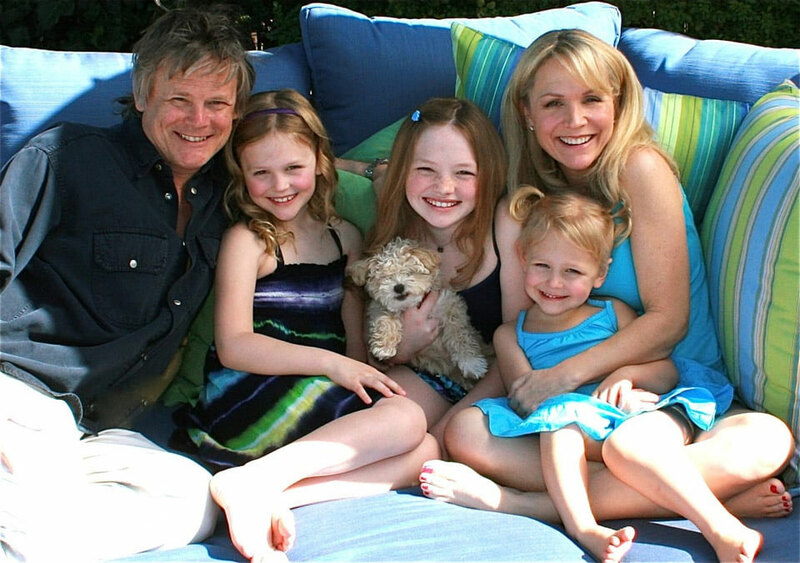 On July 27, 2007, in North Carolina, Alyvia Alyn Lind was born to actress Barbara Alyn Woods and film director/producer John Lind who raised her in Los Angeles. She is the younger sister of Natalie Alyn Lind and Emily Alyn Lind who are both actresses just like their mother. Alyvia is of North American ethnicity and an American national. Seeing who her parents and sisters are, it becomes more obvious why she is carving out a career as an actress. The youngest of the Lind girls is still a child and obviously still a student. However, her acting gigs seem to be overshadowing other aspects of her life; particularly her education. Alyn Lind revealed that due to the nature of her status as a child actress, she is constantly going back-and-forth from school to set and that gets kind of complicated. Sometimes, Alyn gets called to be on set when she is in the middle of a school test. But these notwithstanding, the actress seems not to be ruffled by the dynamic nature of her young life. She admittedly loves working on jobs where there are other kids because that will have them all sit in the classroom and do school stuff together. Alyvia Alyn Lind following the footsteps of her mother and sisters kicked off her acting career at the tender age of 5. She landed a role as Faith Newman on The Young and the Restless which has been running from 2011 to the present time. The following year, she portrayed the character of Amanda Clarke on Revenge which ran from 2012–2015. Still, in 2012, Lind played the recurring role of Charlotte on 5 episodes of See Dad Run (2012–2014). As she went on with her career, the child star made her film debut in 2013 in the American science fiction horror film titled Dark Skies. Her acting portfolio expanded the more with a lot of different child roles in various films and television series. However, when she played 9-year-old Dolly Parton on the movies Dolly Parton’s Coat of Many Colors (2015) and Dolly Parton’s Christmas of Many Colors: Circle of Love (2016), she grew to a greater reckoning as one of the best child actresses in the industry. Alyvia Alyn Lind’s other television and films works include An American Girl Story – Maryellen 1955: Extraordinary Christmas (2016), 9-1-1 (2018), Overboard (2018), Walk Ride Rodeo (2019) and Netflix original series Daybreak (2019). No list of the best child actresses in Hollywood will be complete without the inclusion of Alyvia Alyn Lind. For one thing, acting comes naturally to her as it is a family profession. Seeing how good she is in what she has done so far, and the improvements she is making with each and every new character she takes up, it is plausible to believe that Alyn Lind gets rewarded pretty well for her efforts. However, her net worth is yet to be calculated. If you would like to make your own inference to what her net worth might be based that of her thespian family members, this is what we know; her mom Barbara is reportedly worth $1.9 million, her sister Natalie is worth $3 million while Emily has a net worth of $2 million. As mentioned in the beginning, Alyvia Alyn Lind is the youngest of the three daughters of actress Barbara Alyn Woods and producer John Lind. Her mother is best known for her role as Deb Scott on One Tree Hill (2003-2009, 2012) and that of Diane Szalinski on Honey, I Shrunk the Kids (1997-2000). Seeing how she and her husband are thriving raising 3 spectacular actresses, it is obvious the Lind family is one to be emulated in Hollywood.